Come to the hautes Alpes where we will teach you how to go downstream on some of the most gorgeous rivers in France, Guil, Ubaye, Durance, Guisane , Clarée, Romanche. Our public: children from age 7, and adults. Personal equipment is provided including : life jacket/harness, WRSI helmet, frog K-Way, Frog Spraydecks, rope, knife , neoprene long-john and boots. Beginners or advanced paddlers, come to check out the local rivers or just rather improve your technique. 195 € for 1 or 2 people. Beginner/ advanced. 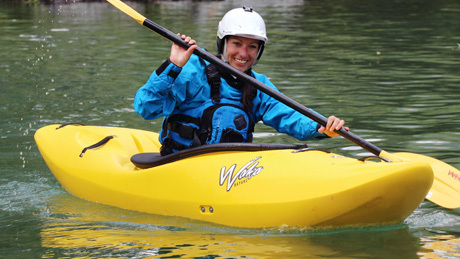 Kayak & individual equipment are provided, and transportation in a close range of Briançon is included. 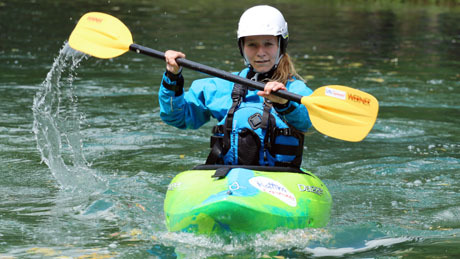 Our private lesson courses can be tailor-made to suit an individual or a small group of same level paddlers. You will benefit from a closer teaching style that assess and develops your style and technique with a more personal approach.